Your very own traveling billboard! 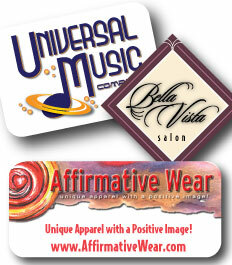 Advertise wherever you go with full color car magnets. Custom sizes and shapes to fit any car or truck. Easy to remove when advertising in not appropriate. Low cost - great exposure! Your Vehicle Magnet Printer, located in Denver, CO and on the Web. Family owned and operated since 1991, Thank You!